Citation assistance for other formats. Ask a Librarian 24/7 - Ask Your Question 24/7! A basic citation includes the author(s), title, publication date, page numbers, and other "bibliographic" elements arranged in a particular order. Give yourself some credit. When you cite, you show evidence of your own research and hard work. 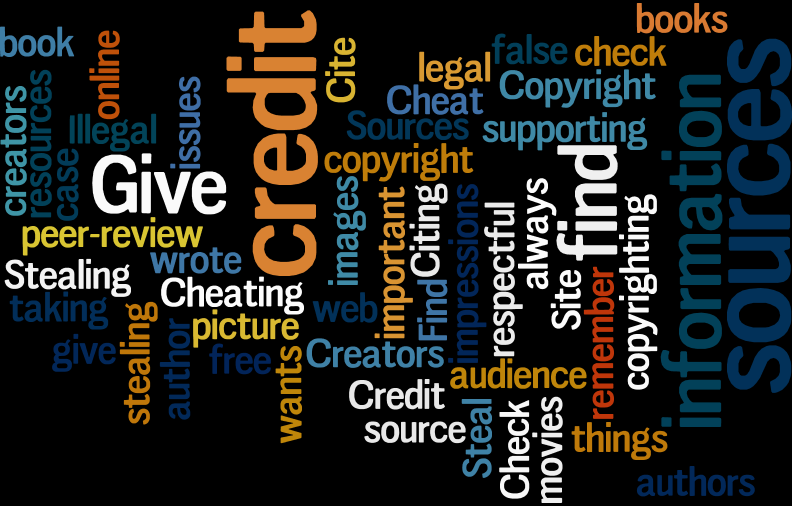 Give credit to others (and avoid plagiarism).When you incorporate ideas and information from other authors--whether through direct quotes or paraphrasing--be fair by acknowledging their work. Become part of the chain of scholarship. Contribute to your readers' own research process by giving them the opportunity to follow up on your source material.